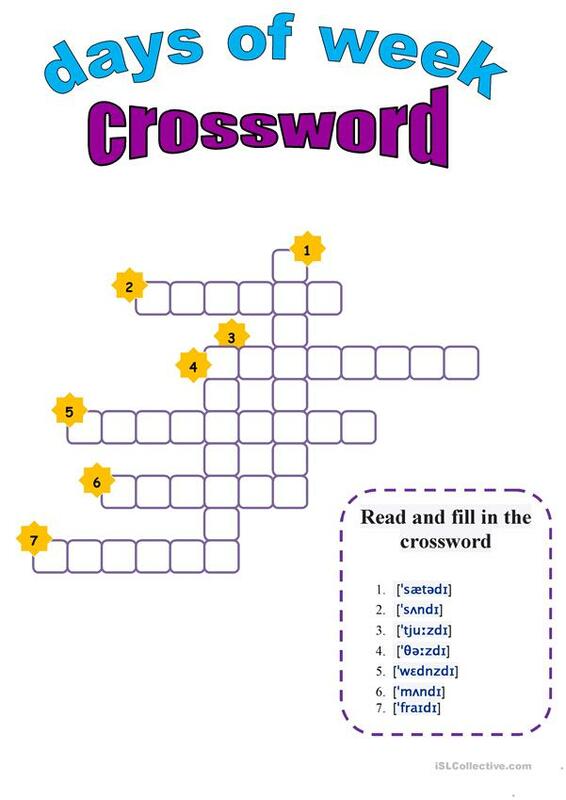 crossword to ptactice vocabulary, pupils should read the transcription of the words and fill the words in the crossword. Children like this crossword so much.. The above downloadable teaching material is best suited for elementary school students and kindergartners and nursery school students at Beginner (pre-A1) and Elementary (A1) level. It can be used for improving your pupils' Spelling and Reading skills. It is about the vocabulary topic of Days of the week.